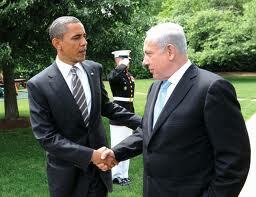 Great news today that the President is going to visit Israel along with several other stops in the Middle East. It appears that despite what many pundits have said, the President is willing to spend political capital in trying to create two states for two peoples, side-by-side. J Street has spent the past four years building support within the Jewish community for an American-led peace initiative. Polling shows an overwhelming majority of American Jews, like Americans as a whole, support a two-state solution under which an independent Palestine would be established alongside Israel. Majorities of both Israelis and Palestinians also support the two-state solution. Who is to Blame for the Tremendous Increase in the U.S. Deficit? I have heard a lot of folks (including my own father – bless his Republican soul) blaming our current President as the cause of the huge increase in the deficit. And yes, the deficit has grown tremendously since Obama took office – but there is a reason. For right or wrong, the current administration passed a very large stimulus package to attempt to keep our economy from going over the cliff. Obama also passed an extension of the Bush tax cuts to prevent all of the middle class tax cuts to expire while we were in the deepest recession since the Great Depression. I don’t think this should be considered profligate spending – because it was very reasoned, purposeful spending. Now some economists disagree with whether this was the right thing to do, but that does not mean that the spending was done without thought or intention. Even if every single unlisted dollar was due to the current administration (which is an unrealistic assumption), it would still show that more of the deficit was caused by George W. So, if you hear anyone say “the damage was done by nancy(sic), Harry and Obama” – as someone commented in the WSJ today – make them “show you the money”. Er, at least, show you the figures. It is great to hear people run down the current administration as ‘tax and spend’. Unfortunately, the previous administration was just ‘spend’. Back then, I published a parsing of the speeches given by the President and the Prime Minister. I believe it is worth republishing this comparison since some may have missed it because the topic may not have been clear from the title. Back then, I was upset at how both the MSM (main stream media) and Congress dealt with both the visit in general and more specifically, the speeches that were given. A close analysis of all four speeches shows that they both used virtually the same language in dealing with the topics, yet one would never know it from reading the press accounts or the sound bites of those in the Congress on both sides of the aisle. Additionally, it is worth viewing for yourself the press conference after Obama and Netanyahu’s meeting because you first need to hear what the President said and then listen to Bibi’s response. My take on it was that rather than Bibi “lecturing” Obama, Bibi simply went off into a soliloquy in which he presented his point of view, but wasn’t really addressing the President. It would have been nice if at least one journalist had expressed this take on the interchange – but I have yet to see one. As for Netanyahu’s speeches, one would certainly have expected a warm welcome from the AIPAC attendees, but the love fest in Congress was over the top. Interestingly, on a recent conference call, I heard one Congresswoman characterize the speech as “masterfully written” because just reading the text clearly showed all of the applause points. As she said: “Who isn’t going to stand up for ‘mom and apple pie'”. What follows is a topic by topic comparison of the language of the four speeches given in the five days surrounding the Israeli Prime Minister’s trip. These are all direct quotes. precise delineation of those borders must be negotiated. It allows the parties themselves to account for the changes that have taken place over the last forty-four years, including the new demographic realities on the ground and the needs of both sides. This compromise must reflect the dramatic demographic changes that have occurred since 1967. We will be very generous on the size of a future Palestinian state. But as President Obama said, the border will be different than the one that existed on June 4, 1967. Israel will not return to the indefensible lines of 1967.
problem will be resolved outside the borders of Israel. for all faiths in the city. Jerusalem must never again be divided. a solution can be found. As for security, every state has the right to self-defense, and Israel must be able to defend itself – by itself – against any threat. When we say never again, we mean never again. Israel always reserves the right to defend itself. Provisions must also be robust enough to prevent a resurgence of terrorism; to stop the infiltration of weapons; and to provide effective border security. The full and phased withdrawal of Israeli military forces should be coordinated with the assumption of Palestinian security responsibility in a sovereign, non-militarized state. The duration of this transition period must be agreed, and the effectiveness of security arrangements must be demonstrated. It’s why we’ve increased cooperation between our militaries to unprecedented levels. And it’s why, despite tough fiscal times, we’ve increased foreign military financing to record levels. are tough. I deeply appreciate this. That includes additional support – beyond regular military aid – for the Iron Dome anti-rocket system. This is a powerful example of American-Israel cooperation which has already intercepted rockets from Gaza and helped saved innocent Israeli lives. … make no mistake, we will maintain Israel’s qualitative military edge. These are the facts. I firmly believe, and repeated on Thursday, that peace cannot be imposed on the parties to the conflict. For the Palestinians, efforts to delegitimize Israel will end in failure. 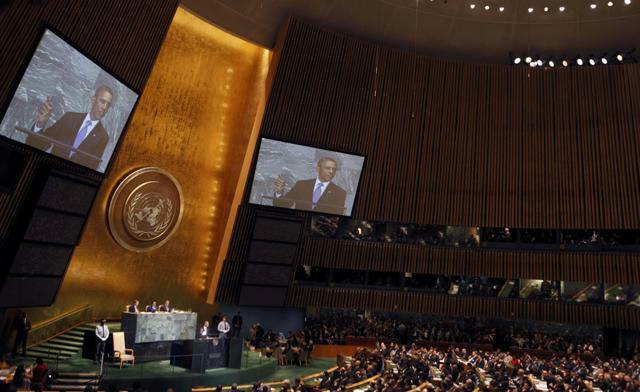 Symbolic actions to isolate Israel at the United Nations in September won’t create an independent state. You also see our commitment to Israel’s security in our steadfast opposition to any attempt to de-legitimize the State of Israel. As I said at the United Nation’s last year, “Israel’s existence must not be a subject for debate,” and “efforts to chip away at Israel’s legitimacy will only be met by the unshakeable opposition of the United States.”…No vote at the United Nations will ever create an independent Palestinian state. And the United States will stand up against efforts to single Israel out at the UN or in any international forum. Because Israel’s legitimacy is not a matter for debate. Palestinian leaders will not achieve peace or prosperity if Hamas insists on a path of terror and rejection. Moreover, we know that peace demands a partner – which is why I said that Israel cannot be expected to negotiate with Palestinians who do not recognize its right to exist, and we will hold the Palestinians accountable for their actions and their rhetoric. praised him as a holy warrior. the recent announcement of an agreement between Fatah and Hamas raises profound and legitimate questions for Israel — how can one negotiate with a party that has shown itself unwilling to recognize your right to exist. In the weeks and months to come, Palestinian leaders will have to provide a credible answer to that question. And Palestinians will never realize their independence by denying the right of Israel to exist. achieved? Because so far, the Palestinians have been unwilling to accept a Palestinian state, if it meant accepting a Jewish state alongside it.…You see, our conflict has never been about the establishment of a Palestinian state. It has always been about the existence of the Jewish state. A nuclear-armed Iran would ignite a nuclear arms race in the Middle East…This is why I ask you to continue to send an unequivocal message: That America will never permit Iran to develop nuclear weapons. You also see our commitment to our shared security in our determination to prevent Iran from acquiring nuclear weapons. Here in the U.S., we’ve imposed the toughest sanctions ever on the Iranian regime. At the United Nations, we’ve secured the most comprehensive international sanctions on the regime, which have been joined by allies and partners around the world. Today, Iran is virtually cut off from large parts of the international financial system, and we are going to keep up the pressure. So let me be absolutely clear – we remain committed to preventing Iran from acquiring nuclear weapons. terror proxies. But not you. Not America. You have acted differently. You’ve condemned the Iranian regime for its genocidal aims. You’ve passed tough sanctions against Iran. History will salute you America. 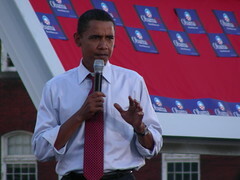 President Obama has said that the United States is determined to prevent Iran from developing nuclear weapons. He successfully led the Security Council to adopt sanctions against Iran. You in Congress passed even tougher sanctions. These words and deeds are vitally important. For Israelis, it has meant living with the fear that their children could get blown up on a bus or by rockets fired at their homes, as well as the pain of knowing that other children in the region are taught to hate them. There have been a lot of arrows slung at President Obama in the last ten days from both sides of the political aisle. But there is one person, a very unlikely person some would say, who actually lays out the facts about what Barack Obama has done for the State of Israel while he has been in office – the President of AIPAC, Lee Rosenberg (better known as “Rosy”). Despite this record, the President is being attacked from all sides for making explicit what has been the understood basis for negotiations by virtually everyone directly associated with the current peace process: “1967 borders with mutually agreed swaps“. Note: those words form a single phrase. That was true listening to the speech as well as reading the transcript. Anyone who claims that he suggested “1967 borders” alone, is simply being deceptive. This deception is now being used to make Israel a partisan issue. See Rep. Joe Walsh laughingly outrageous rant in the Daily Caller last week and Bret Stephens similar contentions in the Wall Street Journal. These undeniably strong pro-Israel statements are loud and clear. Why has everyone – Netanyahu, the US Congress, the press, and most importantly, a large portion of the American Jewish Community – ignored them?